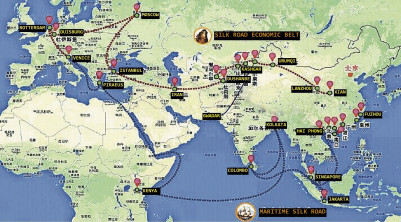 ICS- Institute of Chinese Studies : What does India think of China’s ‘Belt and Road’ Initiative? What does India think of China’s ‘Belt and Road’ Initiative? China’s Belt and Road Initiative is an ambitious regional and global project that it has attempted to sell as a global public good. One country where the Chinese project has met clear, consistent and widespread opposition at both the official level and among strategic analysts is India. As important a factor that a sometimes reflexive Indian opposition to things Chinese is, there are also big contradictions and wide loopholes in Chinese arguments and justifications for the BRI that deserve to be examined in greater detail. This paper examines Chinese arguments in so far as they relate to India but the weaknesses of these arguments have much to offer other countries that have joined or are seeking to join the BRI.